Wishing you joyful stories and transformation. Thing 1: Would you like to hear a story? Thing 1: It’s about transformation. 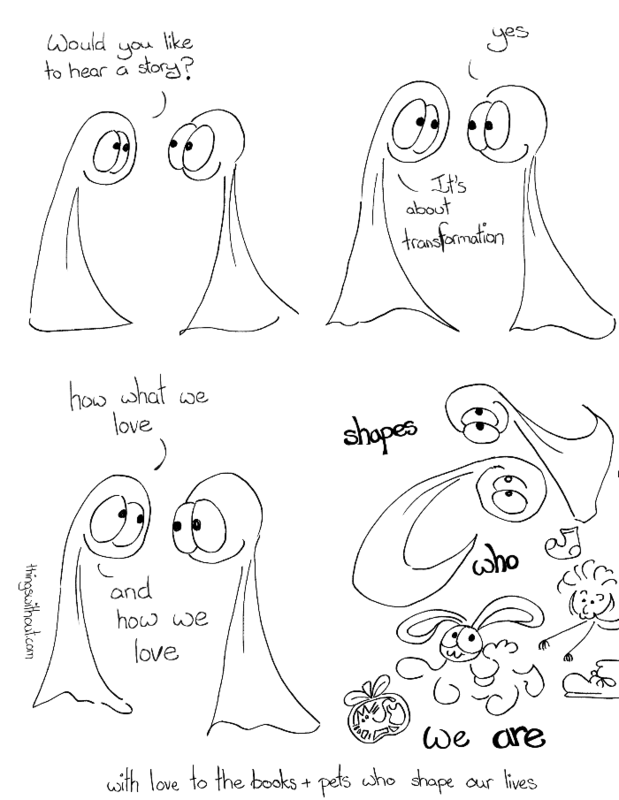 Thing 1: How what we love and how we love. With love to the books and pets who shape our lives.